"If we landed with them, that means we should've ejected." You have to see this impressive sci-fi short film titled Hyperlight, about two astronauts on a cool space ship traveling far to another place in the galaxy in another star system. Set at a time when humans have just achieved faster-than-light travel, this short has an ambitious concept but director Nguyen-Anh Nguyen pulls it off so amazingly well, with some slick VFX work and captivating sci-fi story. Hyperlight stars Jeananne Goossen, Peter Shinkoda, and Caroline Dhavernas. There's a few big twists in this and lots to process, but it's another must watch sci-fi short film. Thanks to Short of the Week for the tip. Synopsis for Hyperlight from Vimeo: 'Two elite astronauts wake up in the abyss of space; they return to their stranded ship and discover the surprising reason behind their mission's catastrophic failure." 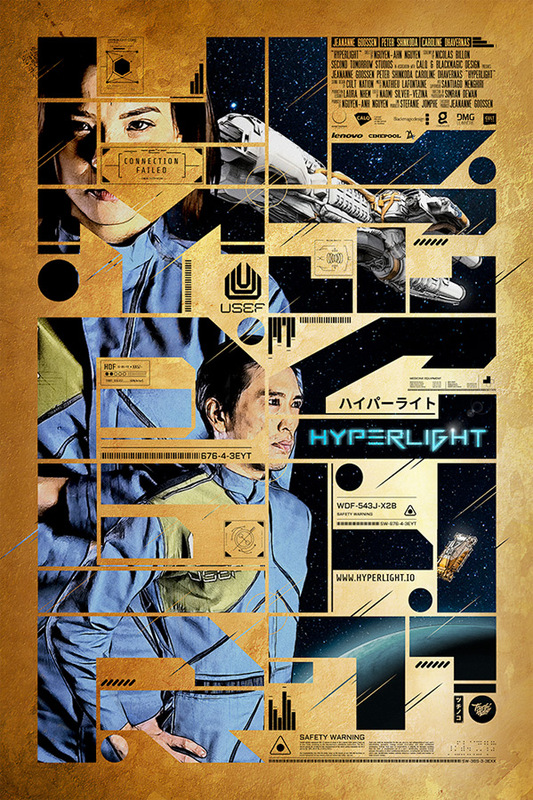 Hyperlight is directed by Nguyen-Anh Nguyen (his official site), written by Nicolas Billon, with cinematography by Simran Dewan. Also featuring music composed by Mathieu Lafontaine. Hyperlight was shot on a Blackmagic URSA Mini 4.6K and URSA Mini Pro, then edited and finished in DaVinci Resolve. For more, visit Vimeo or their website. For more shorts, click here. Thoughts?